IR receiver TSOP32156. Operating at a frequency of 56 kHz. The following figure shows the wiring diagram of the sensor taken from the documentation. The manufacturer requires the current limit with a resistor of 100 Ω, as well as the use of filter capacitor between the legs of the power supply with a capacity of 4.7 µf. 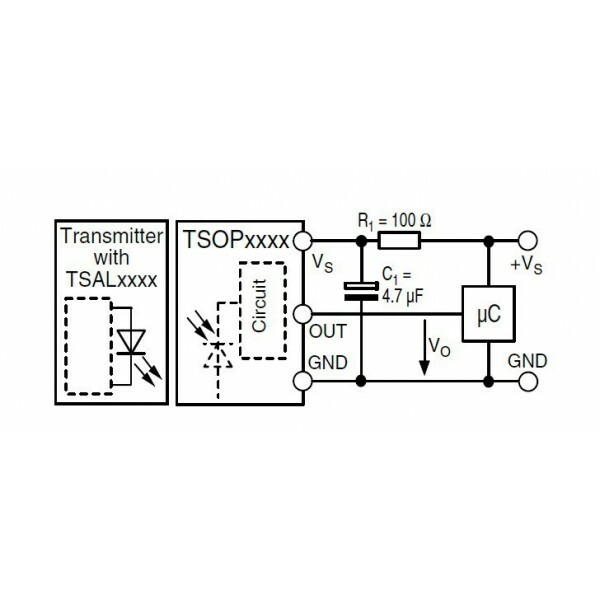 Connection diagram IR receiver TSOP32156.